This is a classic version of one of France’s favorite desserts. Preparation is quite simple, but you do need to have a few items on hand: some ramekins or a soufflé dish, a mixing bowl, a shallow baking pan for the bain marie (the custard dishes are set in a bath of boiling water in the oven), and 3 saucepans. If using individual ramekins, they should each hold about 3/4 cup (200 ml). If using a single soufflé dish, it should hold at least 3 cups. Most recipes for creme caramel serve 8-10 people, but this one serves 4. Why? Because it’s a great dessert, and it’s nice to be able to make it on a weeknight and not just on special occasions. But if you plan on serving a crowd, no problem — just double the quantities. Preheat the oven to gas mark 5 (375 F, 190 C). Have your ramekins or soufflé dish standing ready. Start by preparing the caramel. Combine the sugar and water in a small saucepan and heat gently until the sugar has dissolved. Raise the heat and cook until the sugar turns a deep golden brown, 2-3 minutes. Do not stir — instead, shake the pan from time to time so that the sugar browns evenly. Be careful, because this can go very fast and it’s important not to burn the caramel. As soon as the caramel is ready, pour it into your ramekins or soufflé dish, swirling it around to coat the bottom and a little bit of the sides. The caramel will harden while you continue with the recipe. Now prepare the custard. 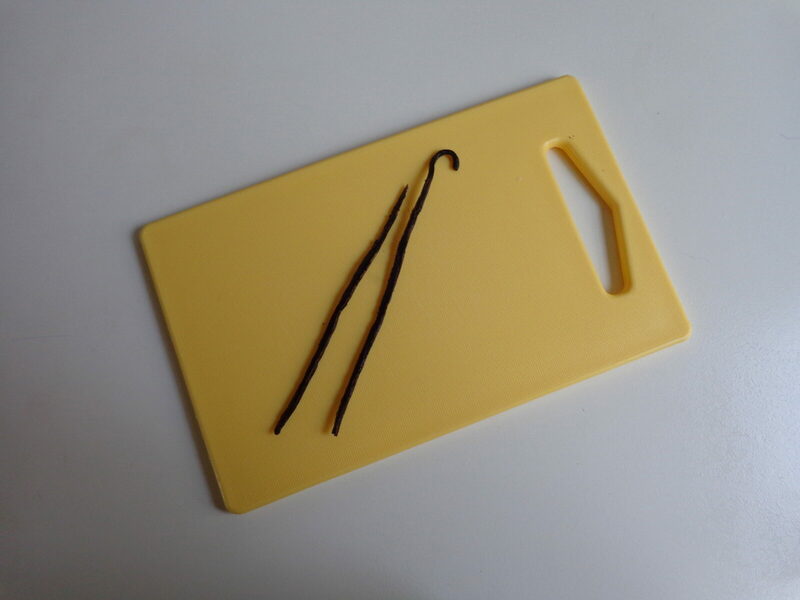 If using a vanilla bean, begin by slicing it in half lengthwise, as shown in the photo. In a mixing bowl, combine 2 whole eggs, 2 egg yolks (you may discard the whites or reserve them for another use) and the remaining sugar. Beat or whisk until light and foamy. In a medium saucepan, heat the milk to a simmer with the vanilla. Turn off the heat. 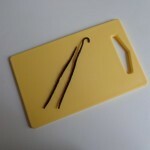 If you have used a vanilla bean, strain the milk through a sieve into a clean bowl. Pour the hot milk into the eggs and sugar in a stream, whisking constantly. Ladle this custard into the caramelized molds. Bring 1 quart (1 liter) of water to a boil. While it is heating, place your custard molds in a shallow baking pan, for example a pie tin or a pyrex baking dish. Carefully pour the boiling water into the pan around the molds — it should be about 1/2 inch (1.5 cm) deep. Gently transfer the baking pan to the oven. Bake for 30 minutes, or until the custard is set. You can test it by inserting a sharp knife — if it comes out clean, the custard is ready. Remove from the oven, remove the molds from the baking pan and set them on a rack to cool for 30 minutes. Refrigerate for a few hours. You will need a serving platter or individual plates with a lip high enough to retain the caramel sauce once you unmold the custard. To unmold, run a sharp knife around the edge of each mold. Place the serving plate over the mold, invert and tap the mold. The custard and caramel should slip out onto the plate — but sometimes this doesn’t work. If your custard sticks to the mold, pour some very hot tap water into a shallow bowl. Let your mold sit right-side-up in the hot water for a couple of minutes. Now dry off the mold, invert, tap, and the dessert will slip onto the plate. 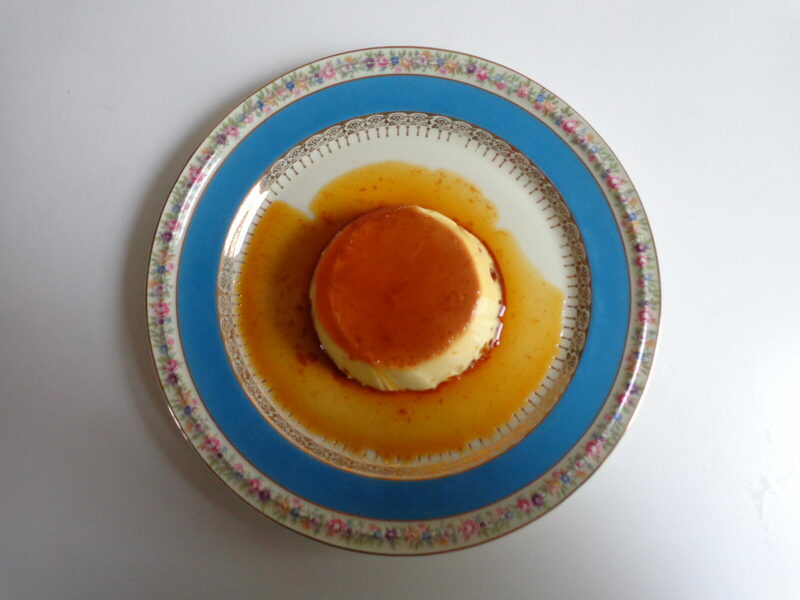 You may serve the crème caramel immediately after unmolding or allow it to return to room temperature first. If preparing this dessert for a dinner party, I would recommend unmolding it ahead of time to cut down on stress in the kitchen. Serves 4.